The Fairline 21 Weekend was launched in 1979 and 485 were built up until 1987. 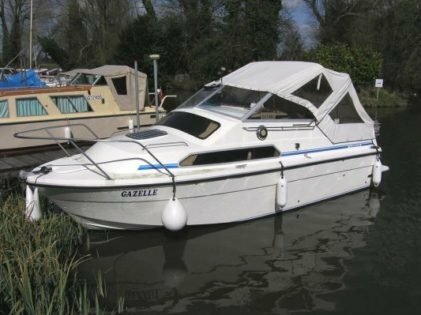 This craft has a spacious 2 berth open plan layout in the cabin, it is fitted with a galley and toilet compartment. The cockpit has 2 helmsman seats and around the stern is seating for five or six which can convert to a large sun lounger or a double berth.